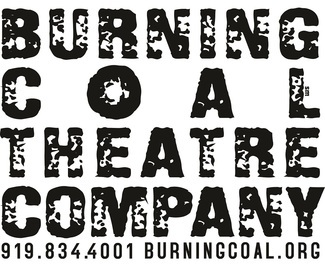 Auditions for the 2019/2020 Season at Burning Coal Theatre for both Equity and non-Equity actors of all ages, genders, races, and experience levels will be held on Saturday, April 20th at Burning Coal Theatre (224 Polk Street, Raleigh, NC 27604). Timeslots are available from 10:00 AM to 6:00 PM. Please sign up for one slot below! The season will include THE CONTAINER by Clare Bayley, CAMELOT by Lerner and Loewe, TALLEY'S FOLLY by Lanford Wilson, and SILENT SKY by Lauren Gunderson. If we want to see you for CAMELOT, we will call you in separately for a singing audition. - 3 Copies of your head shot and resume (if you have one). Please attach the resume to the back of your headshot and cut it off to fit the size of the picture. Burning Coal Theatre firmly believes in the principle of race, age, and gender non-traditional casting, and actively seeks actors, directors, designers, and technicians of all backgrounds for participation in all of its events! - Check back frequently! Occasionally, people will cancel their appointments and slots will become open. - Arrive at early in the day on the 20th and hope to snag the slot of a potential no-show. - Send your resume and headshot to Jerome Davis at [email protected] We cannot promise that further audition slots will be opened, but we will do our best to accommodate those who were unable to sign up for April 20th. We look forward to seeing you all in April! Don't hesitate to write if you have any other questions!